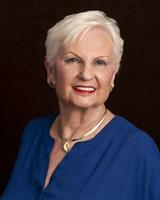 EXPERIENCE: Realtor Emeritus with over 40 years in Real Estate in Brevard County, helping Buyers, Sellers, Investors to fulfill their needs in: Residential; Condos; Town Homes; Acreage; Income Properties; Businesses; Time Shares; Commercial; Exchanges; Rental Mgmt and Rental Placement properties. I am one of the only 4% members in the U.S. of the Council of Residential Specialists (CRS), a Graduate of the Realtors® Institute (GRI), and a Broker/Consultant. Previously, I have been a paralegal in Dade and Broward Counties. A Professional Model and Assistant Interior Decorator are also a part of my background. I offer you exceptional experience as a Real Estate Professional. A repeated Top Producer with the Indialantic office of National Realty of Brevard, Inc. since 1986. Consistant Multi-Million Dollar Producer. EDUCATION: Graduate of So. Broward H.S., Hollywood, Fl. ; Charron Williams Comm. College, Miami, Fl. ; Accredited Broker/Consultant in Fla. with degrees in Continuing Education. PROFESSIONAL AFFILIATIONS: Member Brevard Co. C of C., via National Realty; Nat. Assn. of Realtors®; Fla. Assn. of Realtors®; Melb. Area Assn. of Realtors®, and Member Commercial Investment Division. Served on Realtors® Grievance Comm. ; Prof. Standards Comm. ; Chaired Lawyer/Realtor® Relations Comm., & RPAC contributor for 30+ years. FAMILY: Son, Scott, a graduate of American Univ., Wash., D.C. A successful self-employed financial analyst for the airline/resort industry in Sydney, Australia and employed by Emirates Airlines in Abu Dhabi, traveling all over the world. SERVICE GOAL: To provide my customers and clients the service they expect from a Real Estate professional. They will benefit from my expertise in the negotiation process of acquiring and/or selling all aspects of real estate. Detail, follow-thru and "service" is what I do and I am available to help you meet your goals in the shortest time possible, with the least inconvenience, and for the best price possible. My experience can work for you...USE IT! As is often said, real estate is about location, location, location. I have extensive knowledge of the Indialantic, FL area and can help you find the right home for you or the right buyer for your home.